Optical Sensor Resolution Hyperion Fury combines an optical sensor featuring Logitech Delta Zero technology. 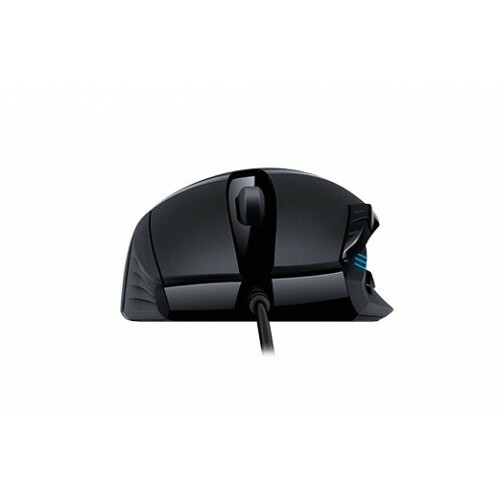 Weight Mouse plus cable - 144 grams. 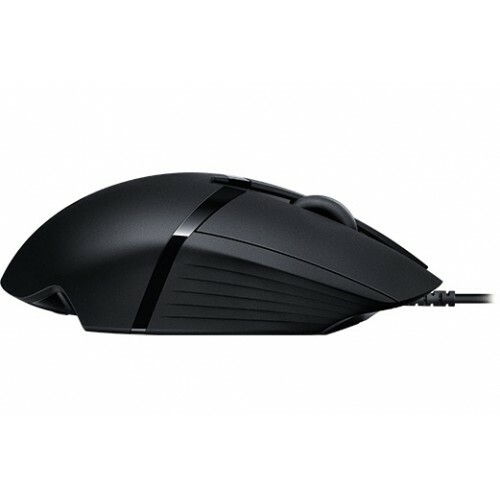 Mouse without cable - 108 grams. 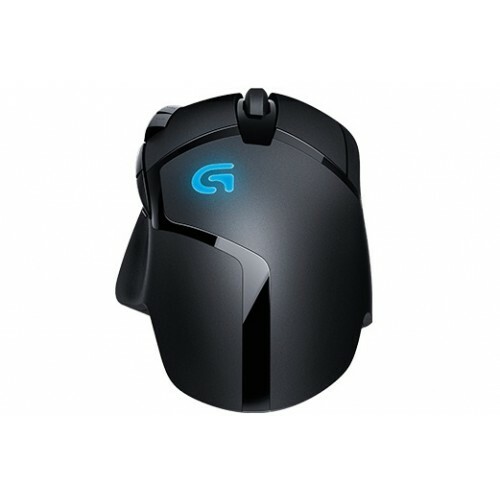 Logitech G402 Hyperion Fury ULTRA-FAST FPS GAMING MOUSE used sophisticated sensor technology for ultra-fast gaming. 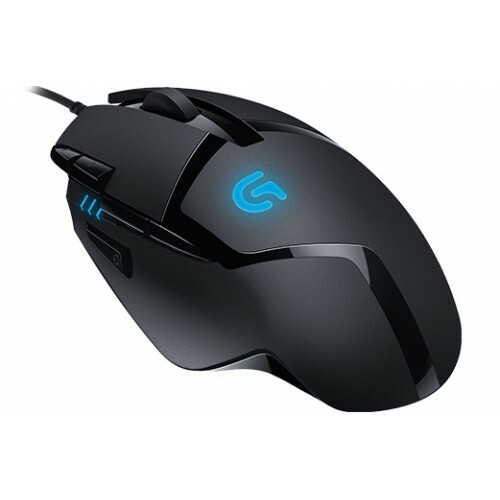 Hyperion Fury combines an optical sensor featuring Logitech Delta Zero technology with our exclusive Fusion Engine hybrid sensor to enable tracking speeds in excess of 500 IPS.This mouse is customize with 8 programmable buttons. Whether you want to toss a grenade or quickly access your inventory, it’s at your fingertips. Snipe a foe across the map (250 DPI) before fleeing in the blink of an eye (4000 DPI) with on-the-fly DPI switching, you have the flexibility to react to the chaos of battle with precision.Smarter than ever. 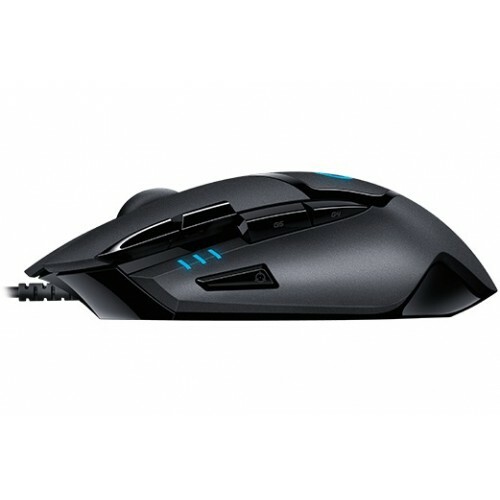 Physical specifications are height: 136 mm, width: 72 mm, Depth: 41 mm, weight: 144 grams,mouse plus cable, weight: 108 grams,mouse without cable and length Cable: 2.1 m.Hyperion Fury on-board ARM processor powers the Fusion Engine for incredible tracking speeds while allowing you to save and play back your favorite macros. 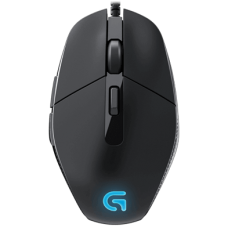 With Logitech Gaming Software, craft and assign macros that can be accessed from Hyperion Fury with ease.Constant communication. With a 1 millisecond report rate, you can be confident that your movement will be communicated via USB at fast speeds without troublesome lag.Maximum comfort for maximum playtime. 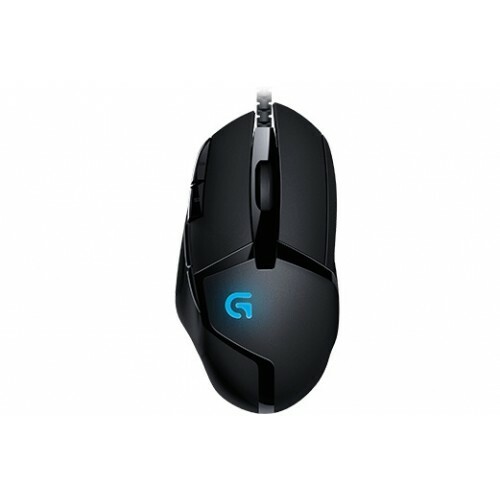 An update to the classic G400s shape to enhance function and comfort. A combination of lightweight materials and rubber grips will help to ensure that your gaming sessions last as long as possible.Extreme responsiveness gives you the edge. Distinct left and right buttons offer extreme responsiveness. With high-speed clicking, you can push your skills even further while enjoying the edge in intense firefights. Faster, more comfortable clicking makes all the difference with Hyperion Fury.